I don't think it would come as a surprise if I tell you that Happyskin is slowly invading my makeup kit. The number of products that I use from that brand is growing each time they would come up with new releases. Do I regret it? Not at all. They are affordable, they work great, they look good on most skin tones and they are also infused with ingredients that care for the skin. Makeup + skincare in one? Oh yes! This baby is not just a corrector for the under eyes, you can also use it to correct scars, birthmarks, freckles and any other skin pigmentations. 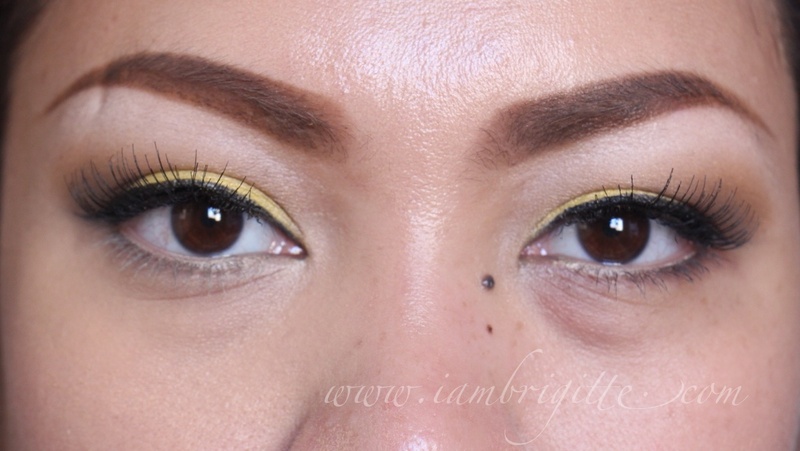 The idea behind correctors is to neutralize the area first, before putting another color on top of it. In the case of this corrector, it has salmon (peachy) tones in it that is great in neutralizing bluish tones. After neutralizing the area, you can now top it off with a concealer or a foundation with the same shade as your skin to better even it out. The result? Skin looks more flawless without looking cakey. When you try to conceal an area without neutralizing it first, you'd be piling up the product layer by layer and still end up with an uneven skin tone (which can look grayish) and with a makeup that is looking cakey. Now, who wants that? Hands in the air, anyone? I use this solely on my under eyes area and what I really like about it is that, aside from it neutralizes the area, it also helps in brightening it up. On most days, I just set it with powder and that's it. 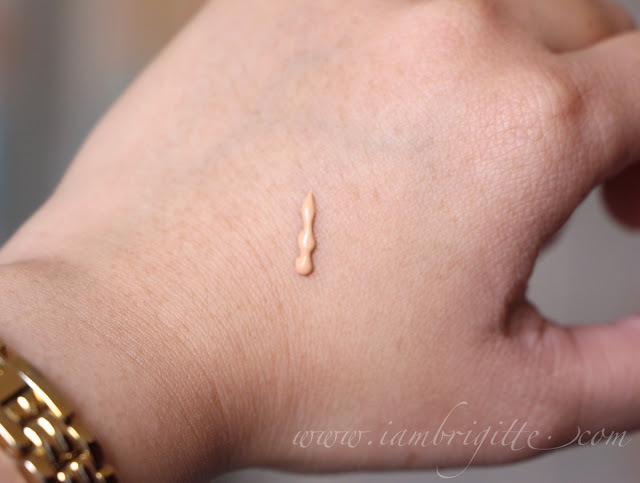 But sometimes, I still put a concealer on which is lighter than my skin tone to really brighten up that area. Just like all of their other products, the packaging is cute and very functional. 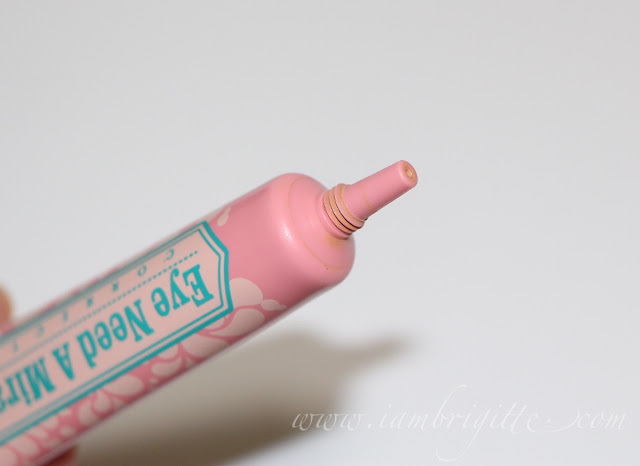 This comes in an easy-to-squeeze tube with a tiny nozzle so you only get a small amount of product each time. I find this really hygienic as compared to those housed in pots or those that comes with a wand. 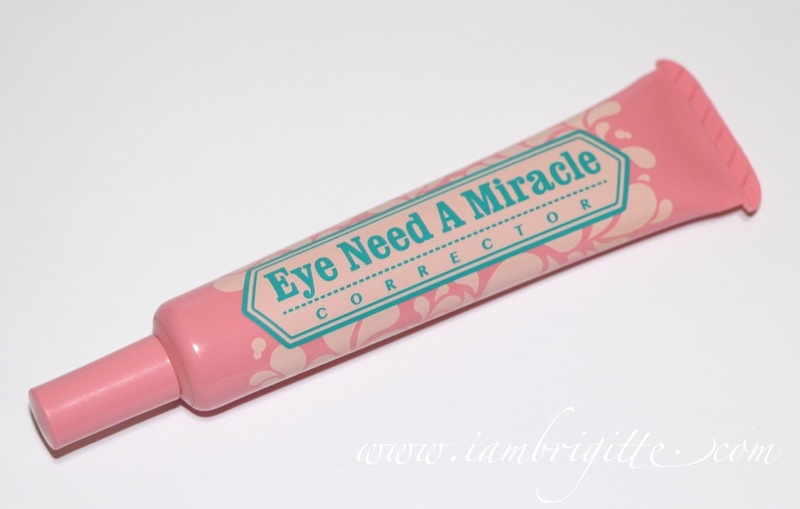 Unlike its sister product (the Eye Need A Miracle Corrector), which has yellow tones, this corrector is salmon-y in shade. This corrector comes in only one shade. 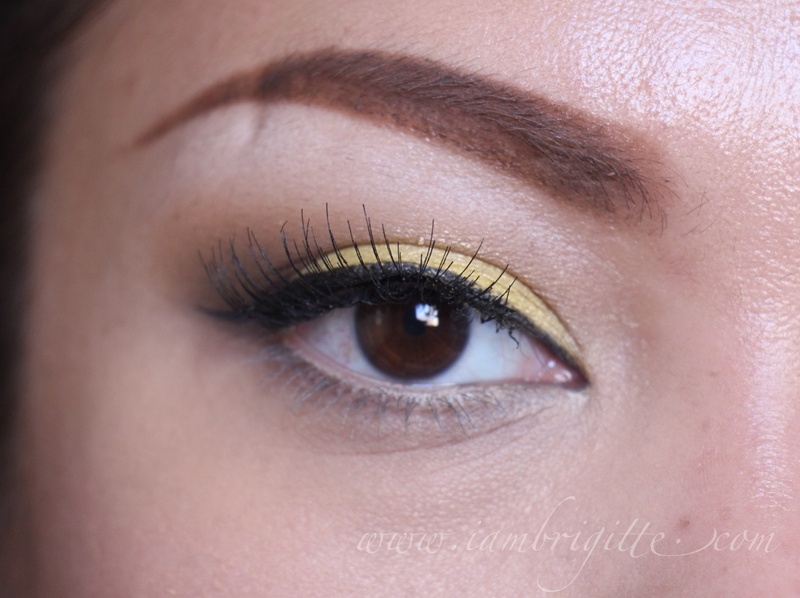 Unless you have a very dark skin tone, this color will work on you. Let's see this baby in action, shall we? Please ignore the un-even eyebrows. This photo was taken on a not-so-good-eyebrow-day. As you can see, my under eye area has some serious discolouration going on. 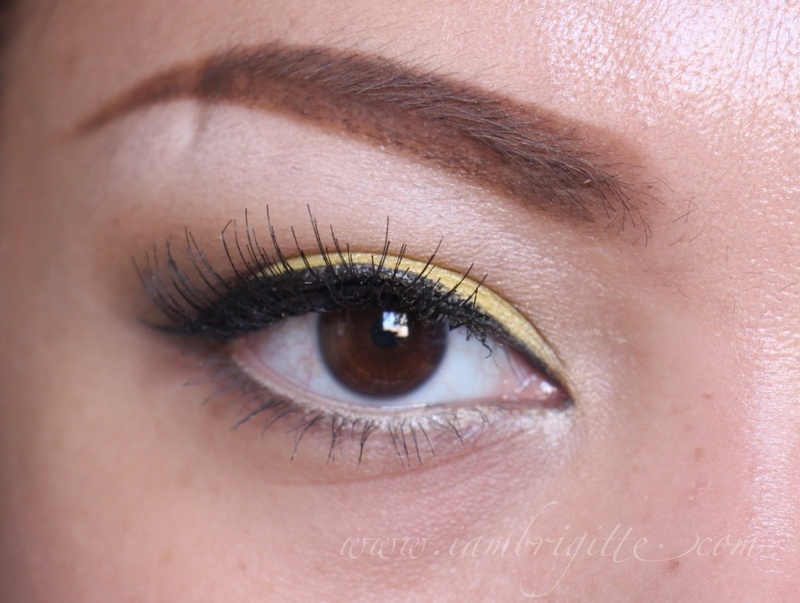 It is darker on the inner corner so I tend to put more product on that area. How I use the corrector: I put dots of the corrector on the under eye area and blend it by tapping motion using my ring finger. I use a brush before but I find that it gets blended easily when I use my finger. Like any other liquid or cream that I apply on my face, I set this with a powder so that it stays put. 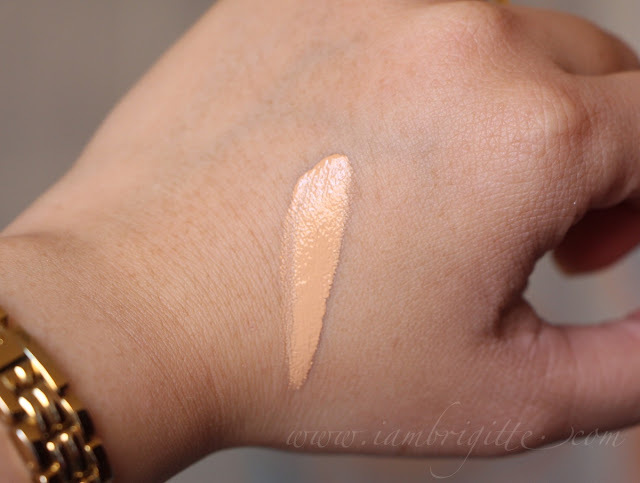 If I am going to further highlight the area using a lighter shade of concealer, I leave it as it is while I do the rest of my makeup then I apply the concealer/highlighter, then finally set it with powder. I don't really find it as moisturizing as I want it to be so I still put eye cream prior to this. Well, I just got used to applying an eye cream every single time so I don't know how this baby works without anything beneath it. Staying power is good, with some minimal creasing after 4hrs. 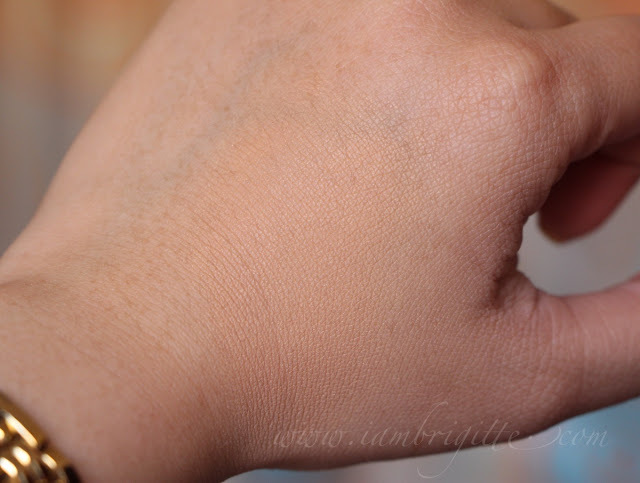 If you see it creasing, just gently pat your finger on the area to re-blend and then dab on some powder. Just like any of their other products, this also has ingredients that care for the skin. I has Japanese Tea Extract to moisturize and reduce puffiness and Hyaluronic Acid, for an increased hydration in the skin. 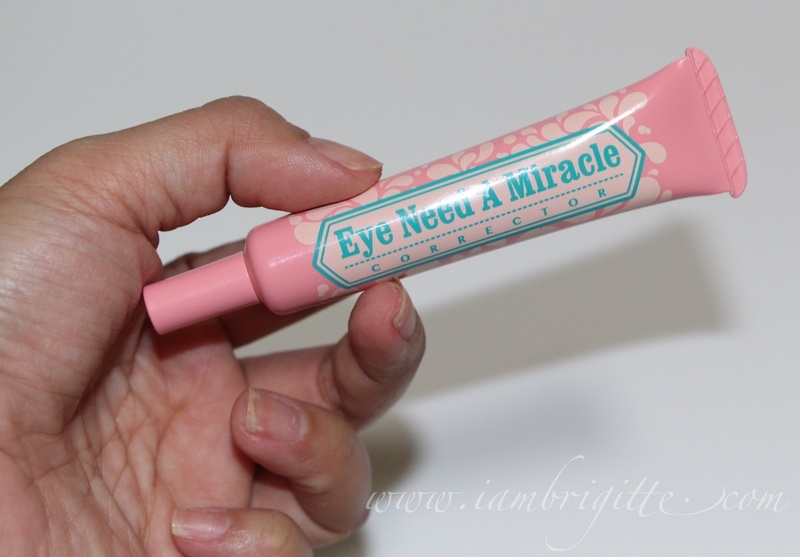 This is my current Holy Grail corrector/concealer. Until when, I really don't know but this works great for me now and is definitely cheaper than what I am using before so I don't see myself switching any time soon. Not unless of course you'd share with me your HG when it comes to correcting/concealing those pesky face discolourations. Then maybe...just maybe.